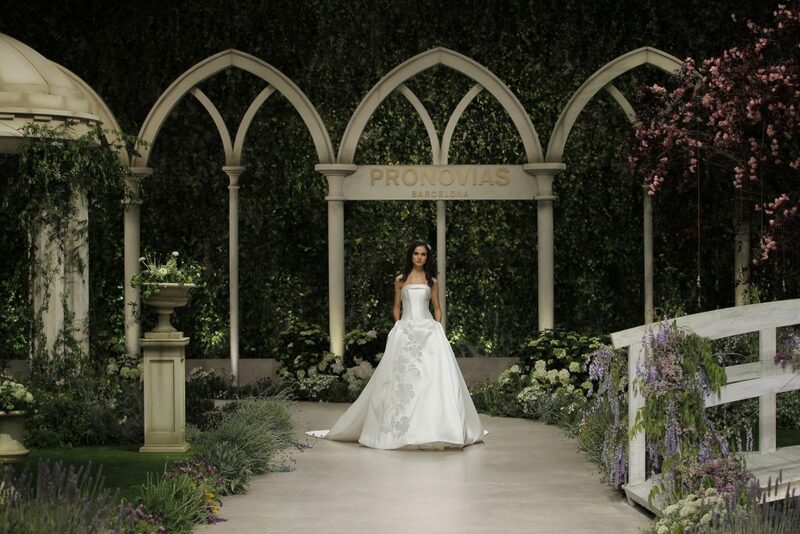 Barcelona, April 24th, 2018 – PRONOVIAS, the leading bridal fashion firm, delighted 1,500 guests at the fashion show held at the Italian Pavilion (Fira Montjuïc) in Barcelona, for the presentation of the 2019 Atelier Pronovias Collection. The firm gathered celebrities from the world of fashion and film, international and Spanish socialites, as well as press and buyers from around the world. 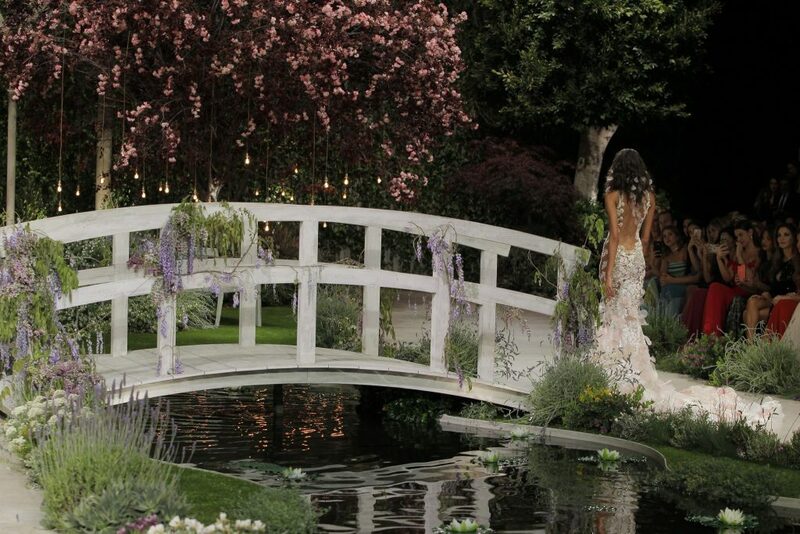 The audience enjoyed a runway with a unique mise-en-scène created around the “IN BLOOM” concept. The guests included international model Irina Shayk, model Rosanna Zanetti (Venezuela), models and influencers Rocky Barnes (USA), Coral Simanovich (Israel) and Diipa Khosla (India), Rachel Zeilic (USA), and actresses Paulina Goto (Mexico) and Francesca Chillemi (Italy). For another year, the mise-en-scène surprised the guests. This time, with the “IN BLOOM” collection, an analogy for blooming gardens in which different elements live in perfect harmony and branch out in all their splendour, and where natural beauty, light and colour fill every corner. The new proposals, inspired by new beginnings surrounded by fresh and wonderful flowers that invite brides to dream on their big day. The “IN BLOOM” collection showcased surprising dresses with maxi volumes, dreamy princess styles and dresses with simpler lines and straight silhouettes. The designs are made in fine fabrics, and include breathtaking necklines and open backs, as well as suggestive transparencies in which the classic tattoo-effect is revamped thanks to geometric and floral details. A collection that reminds you of nature with floral appliqués, embroideries and fabrics such as Mikado in which colour takes central stage for the first time in magnificent and innovative proposals that appear in Ombré effects and subtle and powdered colours. A collection created in the heart of the Maison, which was created to dress every kind of woman and enhance her beauty with a collection of dreamy dresses made real. We absolutely LOVE the new collection and can’t wait to see 2019 / 2020 brides wearing some of these beautiful gowns! Did Pippa Wear Pronovias For Her Wedding Reception?